If someone sends you an email offering their SEO services on the cheap, delete it. SEO has a bad name, and that is because there are bad companies out there trying to make a quick buck by making some changes to your site which will be sure to fool Google into thinking you should rank number 1. Sound too good to be true? It probably is. SEO is all about ensuring that your website, and your offering, whether it’s e-commerce or a portfolio of your work, is as successful within search engines as it can be. It’s about having the best content to serve your audiences needs, whether this is products, information or video. 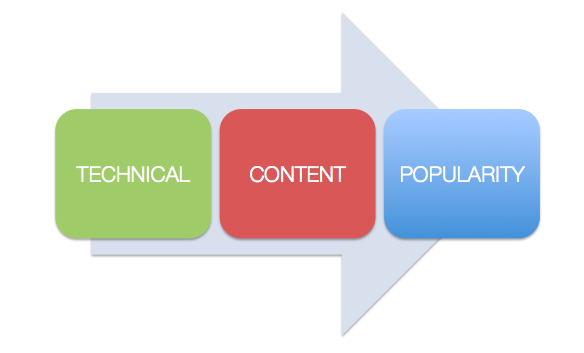 It’s about optimising this content to ensure that search engines can view and understand it. And its finally about ensuring that your audience finds this content and it’s popularity is attributed to your website, either via links, social media signals or user signals. I build successful SEO strategies that tie in with your other marketing activities, whether that’s PR, social media or attending events. I do it for huge clients, and for new start-ups, and I’d be really happy to have a chat with you to find out your company and your site’s needs. What does your website need to make it more visible in Google?